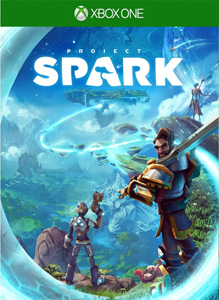 Community Manager, Thomas Gratz, posted to the Project Spark forums on May 13th, 2016 announcing that the game was no longer available to download on Xbox One or Windows as of that day. 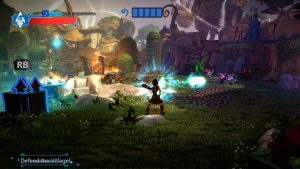 User created content would no longer be available to those who still had Project Spark installed after August 12th, 2016. According to the post, with the game’s October 2015 update active development was stopped, premium content was made free to users and many of Team Dakota’s members moved on to other projects within Microsoft. 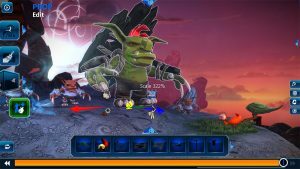 Gratz adds that after this point it was “no longer feasible to continue the behind-the-scenes work involved with keeping Project Spark up and running with meaningful updates and bug fixes”. The decision was made to sunset the game on May 13th but to give active users a grace period to download any community created content to play offline after August 12th. A refund was also issued to users who may have purchased and activated the retail version of the game. While the retail release may still be available it contains only a download code for the game, not a physical disc, and is unusable as of May 13th, 2016. Re-downloading Project Spark from the Xbox account purchase history page was possible after the May 13th delisting but is presumed to be unavailable after August 12th. 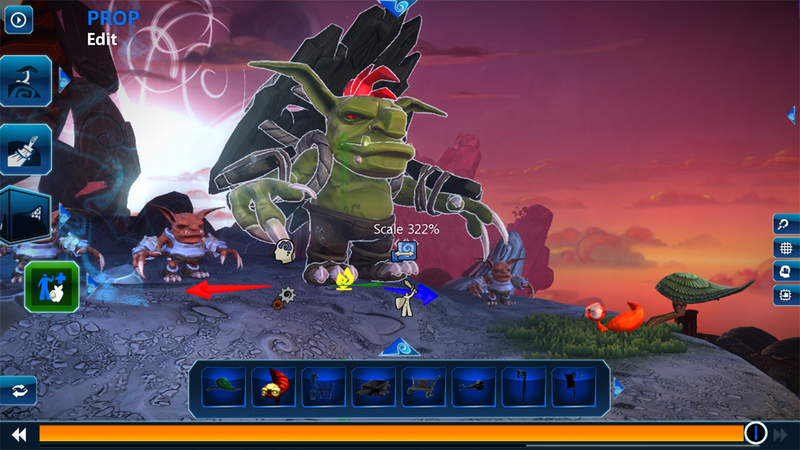 Microsoft Studios manager, Michael Saxs Persson, confirmed in a conversation with Joystiq in 2013 that part of Project Spark was based on Kodu Game Lab. Kodu was released as an Xbox 360 Indie Game in 2009 to teach game design, coding and programming in a similar in-game, interactive fashion. As of May 2016, Kodu Game Lab remains available. “Discover the world’s next best game…or create it yourself! 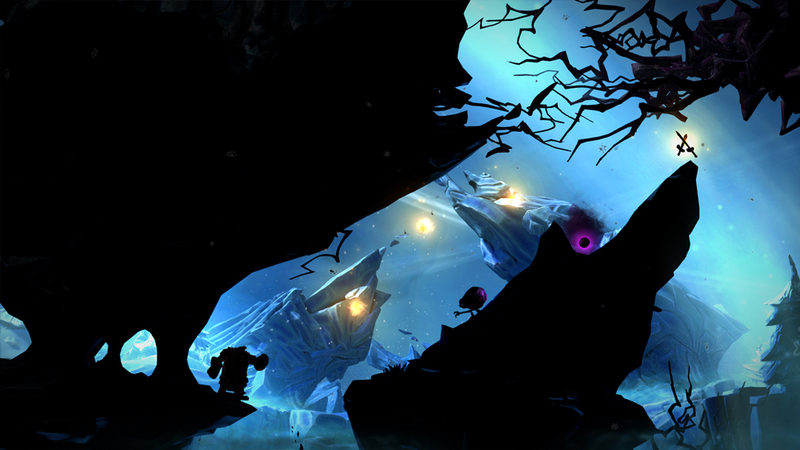 Project Spark unlocks imagination with a powerful yet simple way to build and play your own worlds, stories, and games and share them with the world. It’s the ultimate digital sandbox where you can create the kinds of games you’ve always dreamed of, play games created by a global community, and shape the future of how games are made. PLAY HUNDREDS OF THOUSANDS OF GAMES! A multitude of games are at your fingertips – everything from the multi-hour questing in Link’s Adventure to figuring out how to restore power in the puzzling Electron Flow. Hundreds of genres, new games and play mechanics are available for immediate and unlimited free access. Play them right now! • Live the epic tales of Spark and the Champions. Use Scarlett the Ranger and Karlsnor the Berserker for free, and level them up to unlock outrageous powers as they battle the wicked world-devouring Void and solve devious Kode Glitches to save the idyllic planet of Kora. Stun the world with your very own game! Thought you could make it better? Had an idea you’ve never seen before? Quickly and easily turn your idea into a game with Create and Start from Scratch. • Change an entire game as you play! Have you ever wanted to change something about a game as you play it? Now you can with Crossroads! Change the whole game as you play, or just choose your own missions and objective and then take down the bad guys to save the day. Easily mix things up to make the adventure different every time! Experience Champions Quest: Void Storm, the epic first episode of an ongoing campaign created by Team Dakota within Project Spark itself! Earn experience and credits by playing and creating, providing access to new content and exclusive items! Purchase “Spark Premium” for increased credit and experience earn rates! • Project Spark is available for Windows 8 and Xbox One, and seamlessly connects between the two platforms, so games created and played on one platform are available on the other.